If you ever want to know about the shady side of social media and online dating, just ask a woman to open her ‘Other’ message folder. 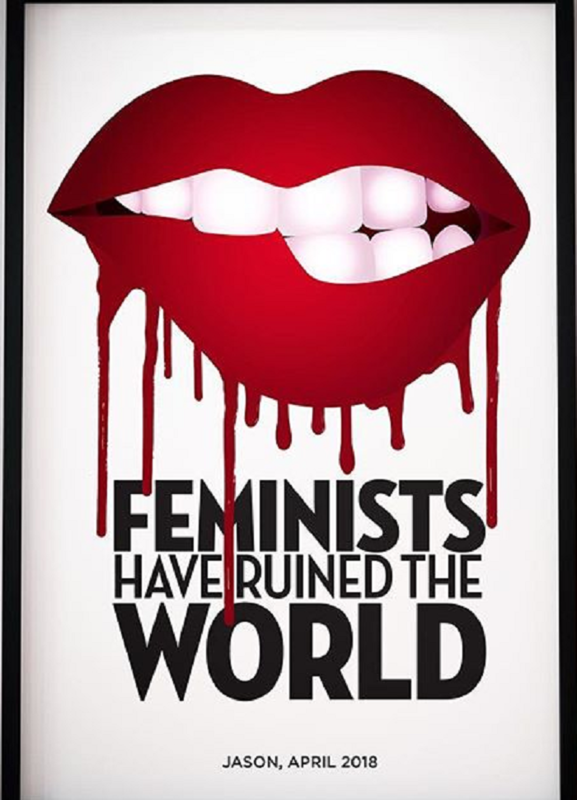 From unsolicited, indecent proposals to threats, you will know that it’s a rather annoying world out there for women. 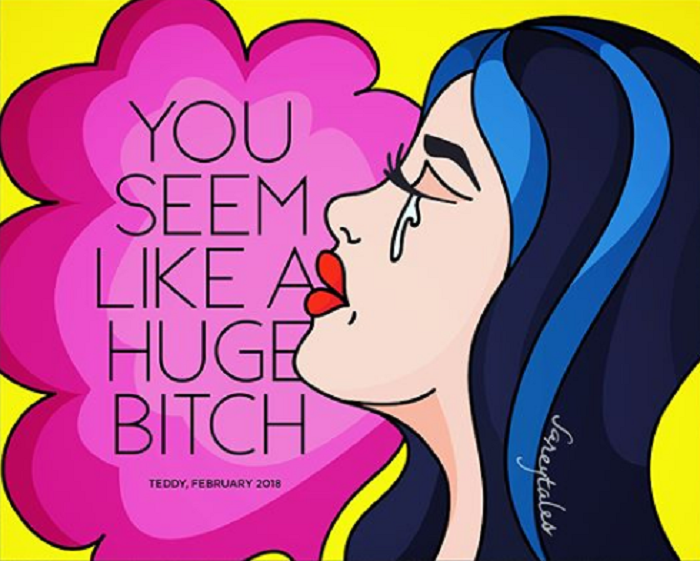 Sarey Ruden got tired of abusive and downright offensive messages from strangers, so she turned them into eye-popping artwork! “About two years ago I received a particularly hurtful message from a guy on a dating app I had been on one date with. On a whim, I felt compelled to turn his ugly words into something more. At first my pieces were mainly typographic designs, black and white, more focused on the messages I had received. The design process was cathartic to me, it helped me to see the bigger picture. These terrible messages weren’t a reflection of me, but rather, of the toxic masculinity poisoning our culture”, she said in an interview. With Sarey Tales: The Art of Online Dating, artist Sarey Ruden has taken real-life dating horror stories and has turned them into art. But what began as a fun little project soon turned into something much larger. “Sareytales has evolved into a platform that empowers other women to stand up to the online bullying, anti-Semitism, and cyber-sexual harassment culture of online dating,” she explains. Will this ugly side of dating apps ever change?